Lawn Masters has got a great track record when it comes to lawn care. Wildwood MO homeowners that have contracted us for their Landscaping needs over the years that we’ve been active in the area can attest to the efficiency of our quality-focused business guarantee. Our services, in terms of landscape design, Landscape installation, Landscape Maintenance and anything else of the sort that you might need, are either perfect, or they are free. If you’re not happy with any of the work we’ve put in for you, we’ll come back and repeat the treatment or service. If you’re still not fully satisfied, we will refund your payment. That’s because we believe there is no better type of advertising than word-of-mouth and referrals from truly satisfied clients. In the field of lawn care, it’s easy to claim you’re the best service provider around. Lawn Masters, however, puts its money where its mouth is. We strive to constantly improve the quality of our lawn service offer and the skills of our lawn maintenance teams. We regularly train our staff and make sure all our equipment and vehicles are in good working order before they visit a client’s property. We also encourage our clients to devise a flexible lawn mowing schedule, because we know how valuable your time is. With us, you’ll never feel locked down into a contract that forces you to pay for services you don’t really need. No fuss lawn care in Wildwood MO? You bet! If you’ve ever had to hire several contractors to cover all your lawn care and landscaping needs, you know how much of a bother this can turn into. You need to coordinate all of them, as well as your own time, and you end up paying more than you should in the first place. That’s why Lawn Masters strives to provide you with all the services you need, in a single place. 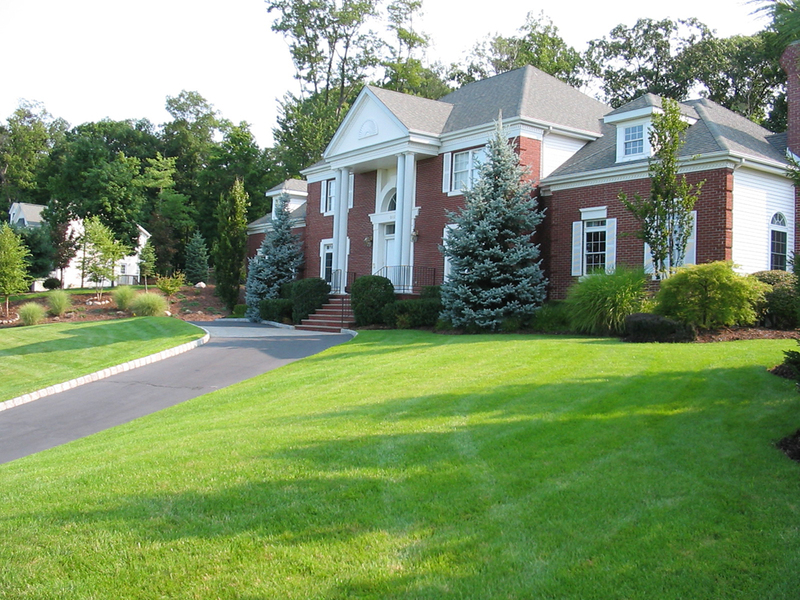 We handle fertilization & weed control with the best commercially available substances. Dreaming of an impeccably manicured landscape? Check out our Tree Service offer, as well as our Hedge & Shrub Trimming services. Our main goal is for you to have the best lawn in the area, and we’ll help make it so, by handling Mulch Installation, Leaf Removal, Seasonal Flower Planting, Aeration, Overseeding and any other service you could think of. But don’t take our word for it – give us a call today, to tell us how we can be of your assistance.